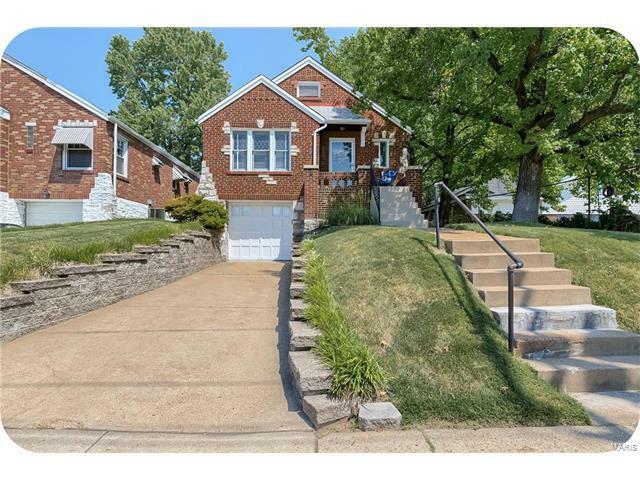 This cheerful LINDENWOOD PARK home is just as sweet as they come. It's a two bedroom, one bathroom home with a heated & cooled BONUS SPACE, which can be used at an office, play/toy room, or guest space. The living and dining rooms are open to one another, creating a great space to entertain you guests. The BIG backyard has endless possibilities, grow your own veggie garden, play fetch with your pup, or somersault across the yard, dealers choice :-) You will also find a LARGE storage shed in the backyard to tuck away your lawn mower & gardening tools. Not only does this sweet home have easy access to 44, but you're also within WALKING DISTANCE to a plethora of good eats, El Paisano, Farmhouse, Biggie's, Tapatio, LoRusso’s, Pint Size Bakery, & Trattoria Marcella, just to name a few. House hunting can feel a lot like dating, you have to kiss a lot of frogs before you find "the one". So, be prepared to fall for this cutie. From 44 Exit at Jamieson and head south on Jamieson then head east on Fyler.